Since 1974 aid charity Inter Care has used a stock-control system to track the essential supplies it sends to Africa. As the years have gone by the old system had become dated and inefficient, as modern advancements in technology have created digital options for stock control. In 2017 Morningside Pharmaceuticals Ltd funded a brand-new online stock control system for the Syston based charity. 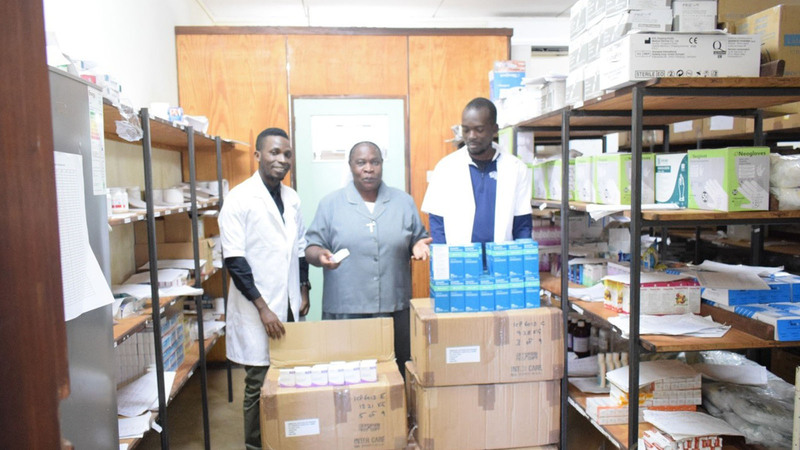 The new system helps the charity track the recycled surplus quality medicines and healthcare goods it sends to rural health units in some of the poorest parts of Africa. The benefits of this system to Inter Care and the communities they support are huge, as it enables the charity to track the aid it sends to Africa from the point it enters the warehouse, right through to delivery to each health unit. As a charity which places recycling at the core of its work, the new system also enables Inter Care to maximise its own in-house recycling by replacing paper record keeping with digital records. Less paper work also means more space to store donated medical aid and less time spent looking through files, which are now accessible at the click of a mouse. During the launch, Diane Hardy, Inter Care’s General Manager, said: “Thanks to Morningside, Inter Care now has a highly professional and efficient stock control system, putting us at the top of our game for a charity of our size. Dr Nik Kotecha OBE, Chief Executive at Morningside Pharmaceuticals, added: “By supporting Inter Care with this new IT system, we are helping them to provide life-saving medicines to deprived countries, which need it the most, in-line with National Quality Standards.